This Situation Update describes events occurring in Lu Thaw Township, Hpapun District during the period between February and March 2018, including information about fighting, internal displacement, education, health and livelihoods challenges. 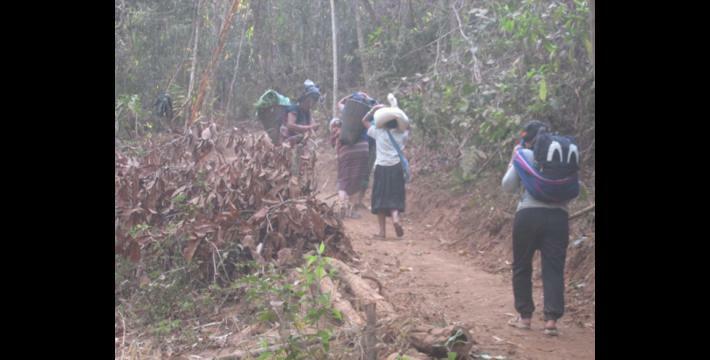 The Tatmadaw have been reconstructing a military road in Karen National Union (KNU) territory between Ler Mu Plaw and Kay Pu village tracts since November 2017 without permission from local civilians or KNU authorities. 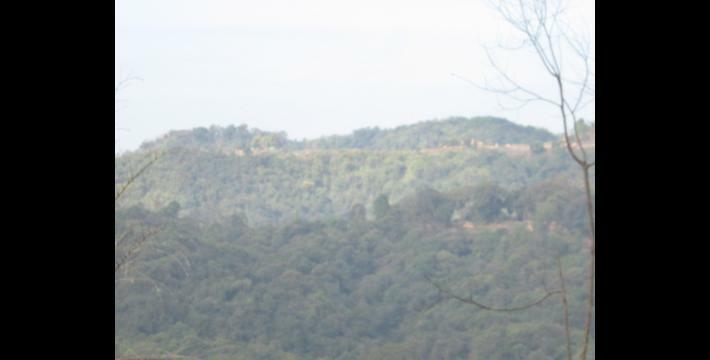 The Tatmadaw’s road construction damaged local communities’ lands, plain and hill farms and reserved forests without any prior consultation and compensation for those impacted. 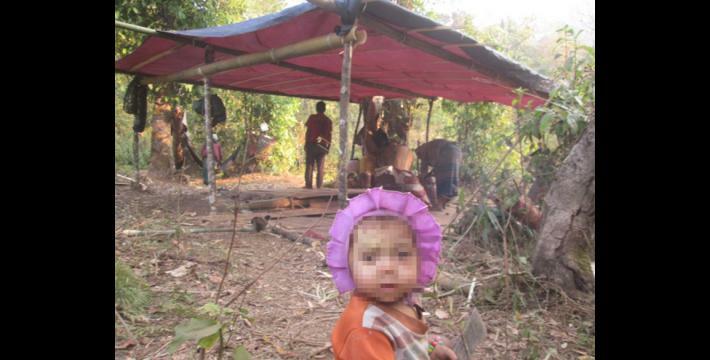 Fighting broke out between the Tatmadaw and Karen National Liberation Army (KNLA) on March 5th 2018 and lasted until March 12th 2018, forcing 2,295 individuals from Ler Mu Plaw, Saw Mu Plaw and Kay Pu village tracts to become internally displaced. Civilian home guards were shot on sight by Tatmadaw soldiers and buffalos were killed and injured by shrapnel from mortar shells in March 2018. Civilians urged the Tatmadaw to withdraw their troops and stop the vehicle road construction between Ler Mu Plaw and Kay Pu village tracts, Lu Thaw Township. The following Situation Update was received by KHRG in April 2018. It was written by a community member in Hpapun District who has been trained by KHRG to monitor human rights conditions. It is presented below translated exactly as originally written, save for minor edits for clarity and security. This report was received along with other information from Hpapun District, including one other situation update, 24 incident reports, 23 interviews, 322 photographs and 33 video clips. This situation update describes events occurring in Kay Pu and Ler Mu Plaw village tracts in northern Lu Thaw Township [Hpapun District] during the period between February and March 12th 2018, including information on Tatmadaw activities, internal displacement, education and food security. From November 2017 until March 2018, the Tatmadaw constructed a military road between Ler Mu Plaw village, [Ler Mu Paw village tract] and Hsaw Law Daw Hkoh area, Kay Pu village tract. 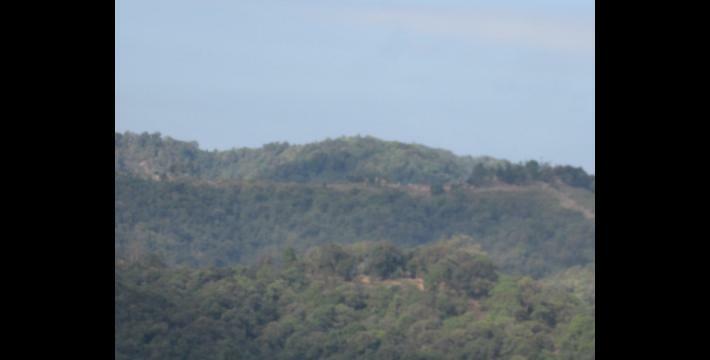 The Tatmadaw have been constructing this vehicle road for military purposes in Karen National Union (KNU) territory without permission from either local civilians or the KNU. The Tatmadaw personnel who have been building the vehicle road are from District #2 [Toungoo District] and District #3 [Nyaunglebin District]. The Tatmadaw soldiers based in the army camps [in Hpapun District] have been acting as security guards for the other Tatmadaw personnel who have been building the road. 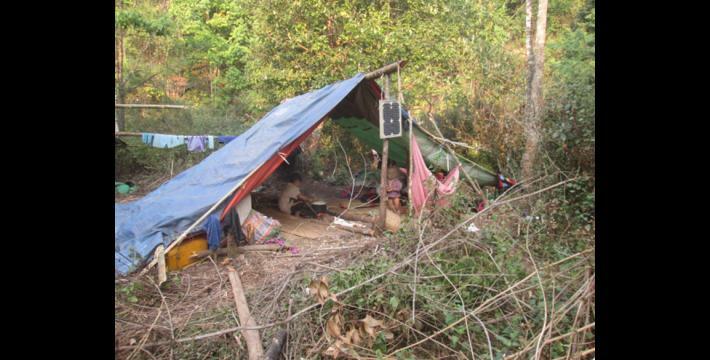 The Tatmadaw’s road construction project damaged many civilians’ plain and hill farms, lands and reserved forests in three village tracts: Saw Mu Plaw, Ler Mu Plaw and Kay Pu village tracts. As a result, clashes broke out between the Tatmadaw and Karen National Liberation Army [KNLA] on March 5th 2018 and civilians have been displaced from March 4th 2018 until now, March 12th 2018. The Internally Displaced People (IDPs) are from Ler Mu Plaw, Htee Kheh Hkee, Yay Go Lo Der, Ler Mu Plaw village tract, Shoe Per Hko, T’May Hkee, Thay Thu Hkee, Bo Na Der and Taw Hku Mu Der, Kay Pu village tract, and Htee Lee Kha Hkee, Bee Hko Der and Blaw Hko villages, Saw Mu Plaw village tact. The table below displays information on the recorded number of IDPs in Lu Thaw Township (Between March 3rd to 16th 2018). 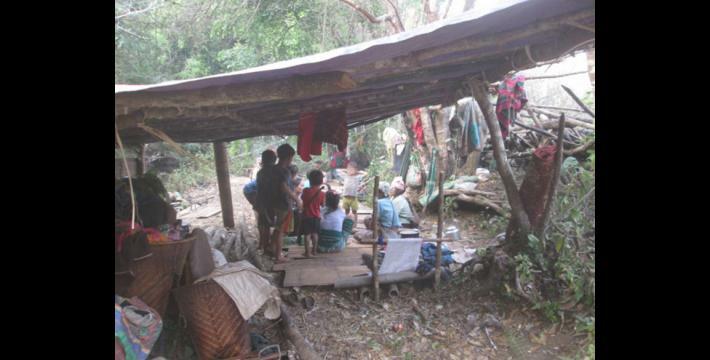 Civilians who are in precarious situations are also preparing to flee from Htee Si Baw and Htee Bway Hkee villages, Kay Pu village tract, They Hkee and Hteh Has Hkee villages, Saw Mu Plaw village tract and Hser Htee village, Ler Mu Plaw village tract. There were 2,295 IDPs from these three village tracts and 604 civilians who were endangered between March 4th and March 12th 2018. 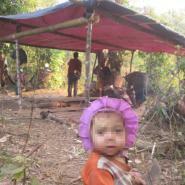 The Tatmadaw also shot villager home guards on sight whenever they encountered them, and fighting broke out [between the Tatmadaw and KNLA] one to two times per day. No villager home guards were killed, but one home guard was seriously injured [by a Tatmadaw bullet]. One villager’s buffalo was killed and another villager was also injured by the Tatmadaw’s shrapnel from a mortar explosion in March 2018 in Ler Mu Plaw village tract. In response to the fighting, villagers dug deep holes in the ground to burrow and protect themselves from the shooting. 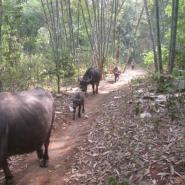 They also set up bamboo stake fences around their areas, recruited more home guards, and relocated to other areas for safety. There are currently 2,295 IDPs [at the time this report was written] from Ler Mu Plaw, Saw Mu Plaw and Kay Pu village tracts. 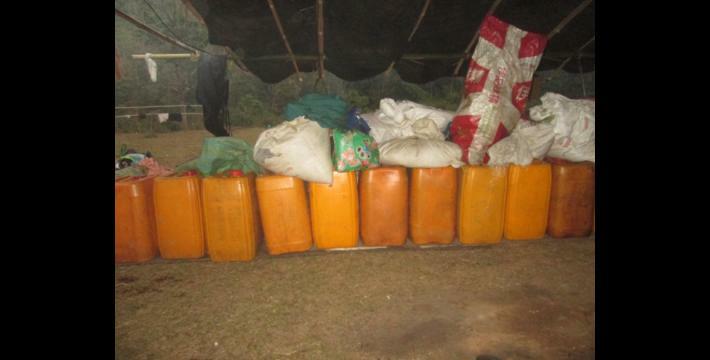 The IDPs could not carry enough food [rice] with them when they were fleeing, so they had to return to their villages to retrieve food [from their hiding places] during the night while home guards guarded villagers for their security. In March 2018, villagers from E--- village, Kay Pu village tract who returned to their villages and retrieved food [rice] with home guards were shot at by the Tatmadaw. Some IDPs could not return to their villages, so they had to borrow food [rice] from their neighbours who could return to their villages. In addition, there were four schools where students were not able to complete their final exams because the schools closed [during the fighting] and because the students [and teachers] had to flee to different locations. The four schools impacted by fighting were Cc--- Dd---, Bb--- and D--- schools. Also, the weather during this period [between February and March] was still cold, so IDPs faced health challenges because they did not have any access to healthcare services. 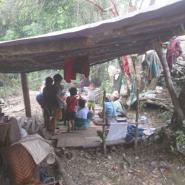 IDPs contracted illnesses, including cough and malaria. Lastly, IDPs had to carry elderly people who were unable to walk long distances, so this was another problem facing civilians during the conflict. The IDPs [in Lu Thaw Township] started fleeing from their villages on March 4th 2018 due to the fighting between the Tatmadaw and KNLA in Lu Thaw Township. 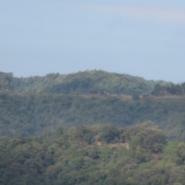 The Tatmadaw from District #2 [Toungoo District] and District #3 [Nyaunglebin District] have been reconstructing a military road from Ler Mu Plaw village, Ler Mu Plaw village tract to Hsaw Law Daw area, Kay Pu village tract. 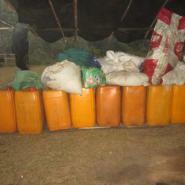 As a result, villagers [IDPs] had to retrieve food [rice from their villages or secret rice stores] during the night in fear. Civilians who had motorcycles helped their neighbours carry rice from the villages to their hiding sites. There are about 30 villagers who own motorcycles in Ler Mu Plaw village tract, and they were able to do this only when the situation seemed secure. 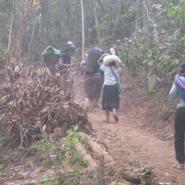 Similarly, villagers in Kay Pu village tract also did this, though some villagers had to carry [rice] by themselves. Villagers whose villages were situated close to the Tatmadaw patrolled areas [Tatmadaw army bases or roads] could not get rice from their villages. 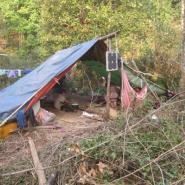 Villagers are concerned about their livelihoods in the upcoming year. If they cannot return to their villages and work on their plain and hill farms, they will face major problems [food shortages]. Thus, villagers urge the Tatmadaw to retreat [withdraw from their army camps in Hpapun District]. If they do not remove their camps from our area, the conflict might happen again and may be worse than the current conflict. During the past few years, since the ceasefire, villagers worked as daily labourers and earned income so they could buy tractors, rice mills and sugarcane mills so they could work on their farms in both the rainy season and the winter. Some villagers could sell [their crops] and share [crops or vegetables] with their neighbours. 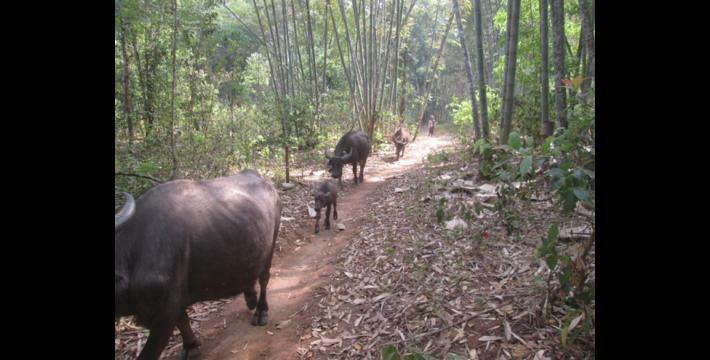 Villagers bought and sold foodsas well as cows and buffalos in their communities. 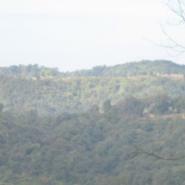 [Compared to the past], there has been some development in the [Lu Thaw Township] community. The Karen National Liberation Army is the armed wing of the KNU. Internally Displaced Persons or IDPs are individuals or groups who are forced to flee their homes but do not travel across international borders, and thus do not fall under the definition of a ‘refugee’ as defined in the 1951 Refugee Convention. The number of IDPs and endangered civilians are estimates from the period between March 3rd and March 16th, and have changed since this situation update was written.